Thief game was officially announced only several weeks ago, but it immediately became one of the most anticipated projects. The reason is simple - Thief game already has a lot of fans, because it is a part of old and really famous stealth series. Today this interesting project has got his first trailer. Thief trailer, that has poetic "Out of the Shadows" title, shows the protagonist - Garrett - in action, but, unfortunately it is not a gameplay video, so now we don't know, how the game will actually look like. 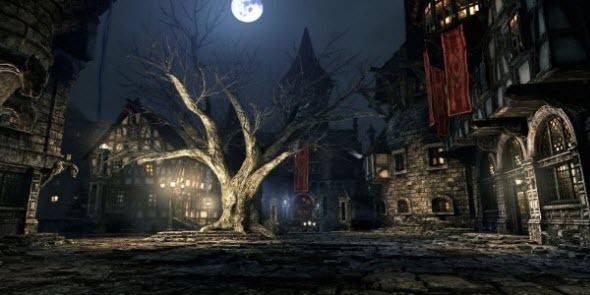 However, the developers promised to create new story, add dreary atmosphere, remove magic elements and implement new interesting protagonist's abilities. For example, he will be able to poke the weak enemies' points. Meanwhile the artificial intelligence of his opponents will also be much better. Thief release date is scheduled for 2014. There will be Thief for PC, PS4 and other next-gen consoles (probably, for Xbox 720). Are you waiting for Thief game as much as we are? Write in the comments below and don't forget to visit our Facebook community, where there are a lot of other interesting gaming news.